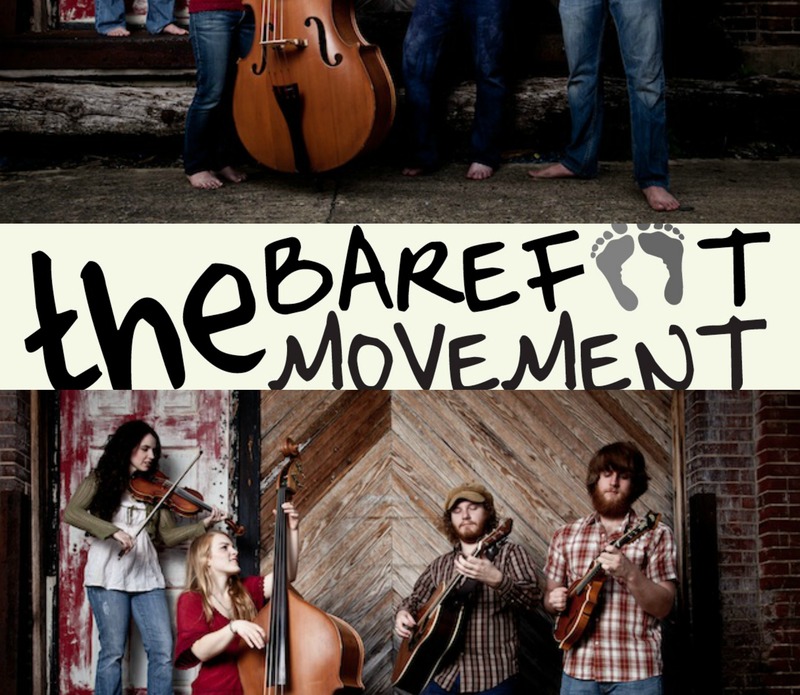 As a person who is out of her shoes whenever socially appropriate, you can see why a band with the name The Barefoot Movement caught my attention. Lead vocalist, fiddle player and songwriter Noah Wall connected with mandolin player Tommy Norris during their high school years in North Carolina. Quentin Acres and Noah met later at Eastern Tennessee State University and he joined the movement adding vocals and guitar. The trio met bassist Hasee Ciaccio in 2011 when she needed a ride home from Merlefest. We hope you can join us on Monday, May 27 – Memorial Day – to hear The Barefoot Movement live at Chestnut House Concerts. Picnic at 5:30 pm, show at 7:00 pm. This entry was posted in Upcoming House Concert and tagged Eastern Tennessee State University, fiddle, Hasee Ciaccio, Merlefest 2011, Noah Wall, Quentin Acres, The Barefoot Movement by chestnuthouseconcerts. Bookmark the permalink. Not sure if you received my last comment- I had a problem signing in to WordPress. Thanks so much – have a wonderful weekend.